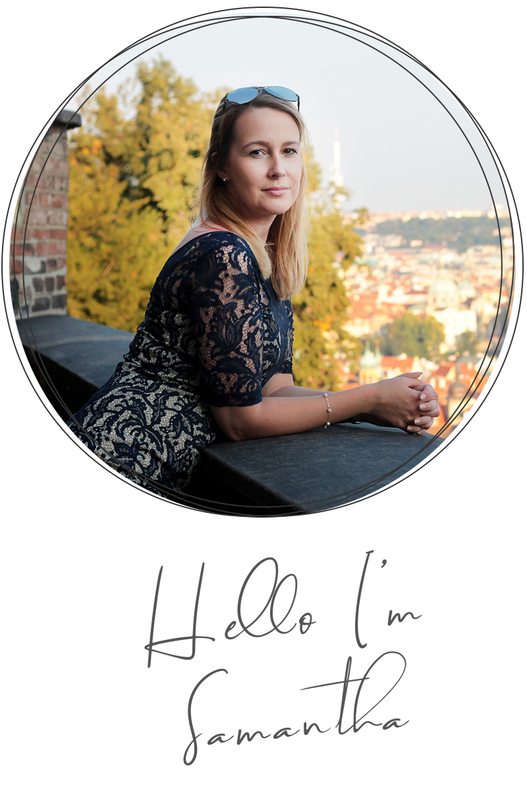 If you ask me what my favorite city on earth is, I’d be torn between Prague, Rome, and Split. Split much like Rome has a long history with a lot of influences from the Roman Empire. It is a colorful Venetian style city that is sat strategically on the eastern shore of the Adriatic Sea. Its vibrant culture, fantastic architecture and sea front location ensure there is plenty to see and do while visiting this stunning Mediterranean city. 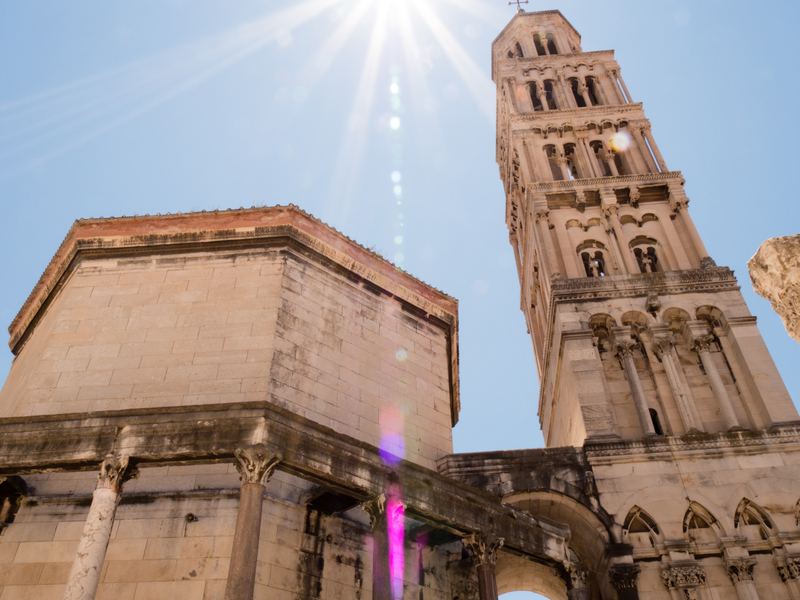 The main attraction in Split is the historical UNESCO World Heritage Site called the Diocletian’s Palace. If you are walking around the center of Split then you are walking in the heart of the 1700-year-old palace. 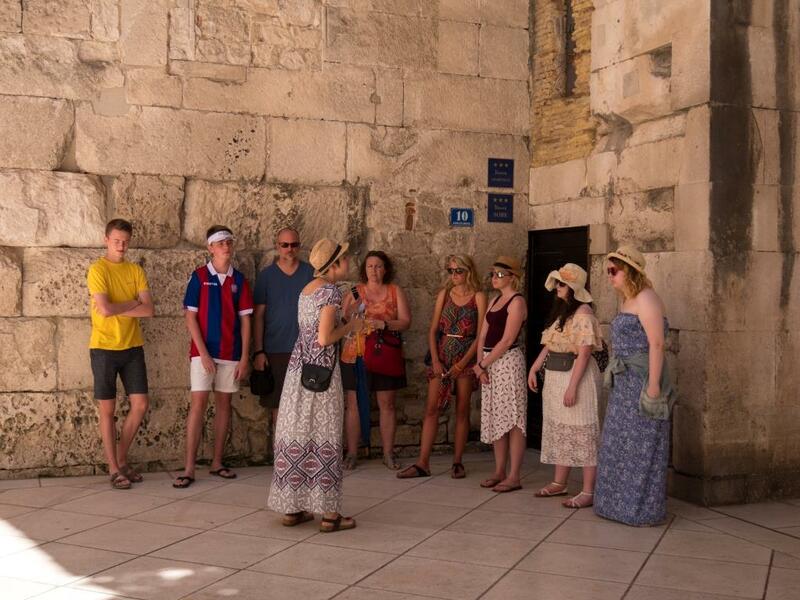 If you love history then the Diocletian’s Palace Tour is a definite must. Without this tour, I wouldn’t have known anything about this incredible historical treasure. The Peristil (an open colonnade surrounding a court) is the main square you will find within the palace. Located at its heart, it intersects with the two main streets, cardo and decumanus. In Roman Times this square was of great importance, not only as the place where politics were discussed but also as the only square in the city where Diocletian would address his people in public. Today, the square still remains a vibrant meeting point, a place where tourists flock to admire its architecture, where buskers come to sing in the summer evenings and where outdoor operas and concerts are often performed. The palace boasts four main gates, the Golden Gate at its North, the Brass Gate at the South, Silver gate in the East and the Iron Gate in the West. The Golden Gate is the main entrance to the palace which was used by the emperor while the southern Brass gate was the entrance to the palace from the sea as the Riva promenade did not exist. All four are equally as interesting and definitely worth walking through. The circular Vestibule formed the major link between the Peristil (The Main Square) and the imperial apartments. Above it is a cupola that was once covered by mosaics and marble. This room would have been one of the most impressive rooms in the palace, complete with marble floors and walls and a wonderful light from above. Dating back to the 4th Century, the Cathedral of Saint Domnius wasn’t originally built for its current purpose, but as the resting place and mausoleum for Dioclesian. In the 7th Century, it was consecrated as a house of worship and therefore stands as the oldest remaining Catholic Church in the world that has remained in use in its original structure. The bell tower was added later in 1100 AD, in the Romanesque style. 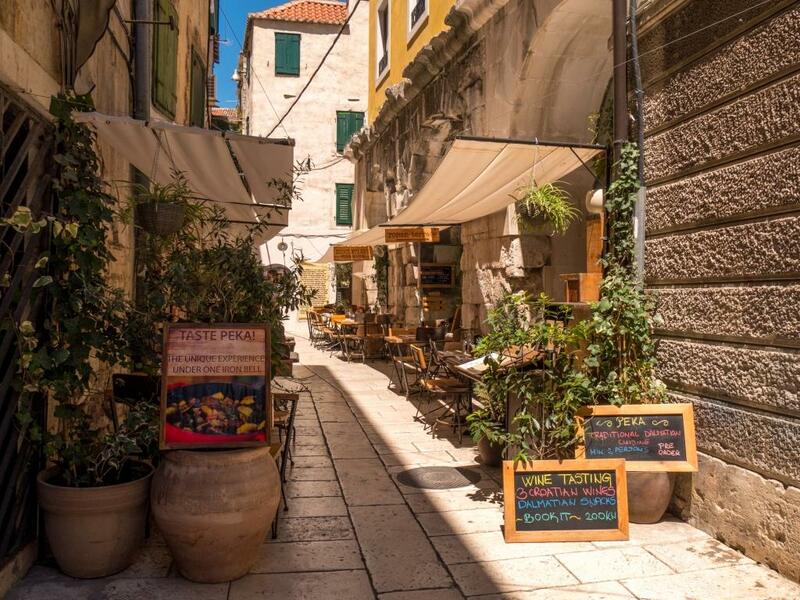 Split has two main markets in its historical center that are worth exploring. Split’s Green Market is the place to go if you’re a foodie as it is full of fresh vegetables, fruits, and flowers. There is also a few stalls selling souvenirs, cheap clothing and crafts during the summer. 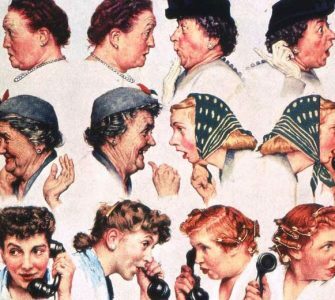 Split’s fish market is another great market but it may require an early start to get in amongst the action. For tourist souvenirs, you can also explore the Podrum or basement halls located beneath the palace. What was once used as a dump, this large hall is now rather grand, home to a myriad of stalls selling jewelry and handicrafts. Game of Thrones fan? 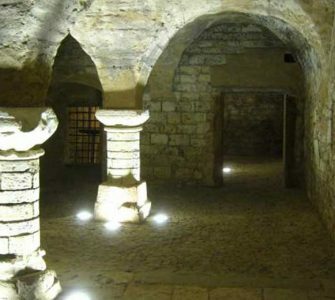 Then you’ll also find the filming location of Daenery’s throne room down here too! While there are plenty of things to do in Split’s historical center, sometimes you need time to chill out and rest those feet. The nearby Bravice Beach just a short stroll from the city’s historical heart, offers something for everyone. Its shallow waters play host to families with young children, teenagers playing picigin (a local game invented on this very beach), party goers, sunbathers, water sports lovers and sometimes (eeks) nudists! It was extremely busy on our visit, so we sat back and watch the beach life happen in front of us and we only dipped our feet in on our walk back to the city. 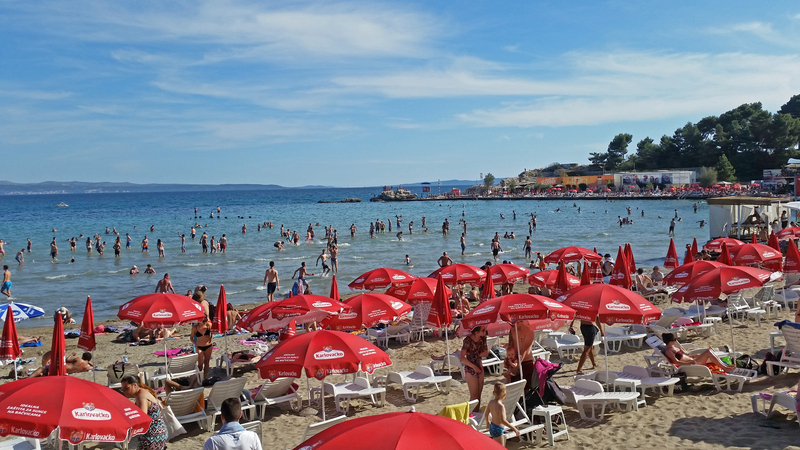 There are plenty of other beaches in and around Split that are worth visiting (way too many to list) and you could also consider heading to one of the nearby islands for some beach time too. 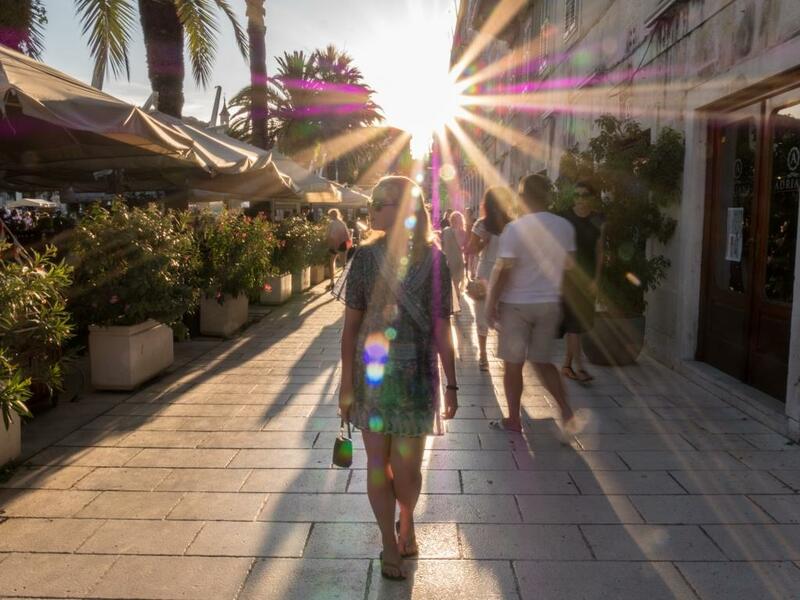 While Split is a relatively easy city to explore, there is just so much to see that taking a guided tour around the center of Split isn’t such a bad idea. 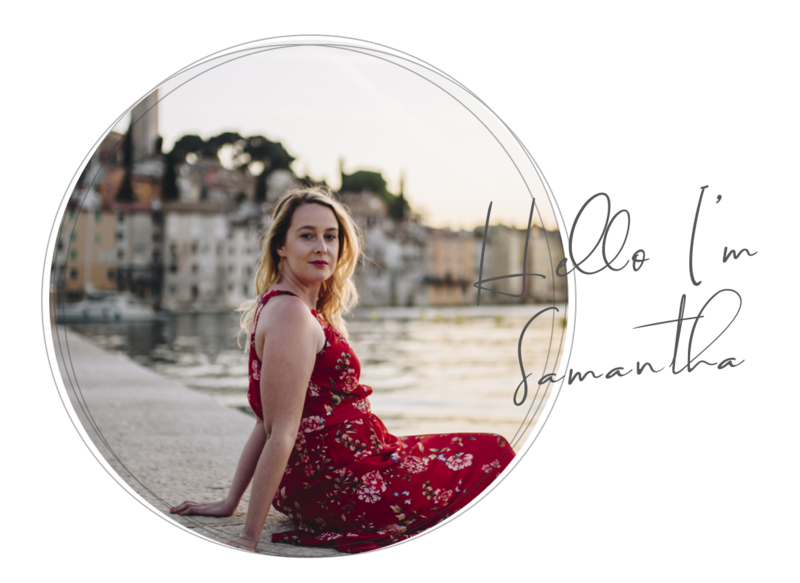 On my first visit to Split I explored quite a lot of the city, but without a guide (or a hefty guide book – but who wants to carry one of those?!) I had no idea what I was seeing and I had absolutely no idea of the history of this place. This time around I made sure we joined a Split Walking Tour for 2 half hours. 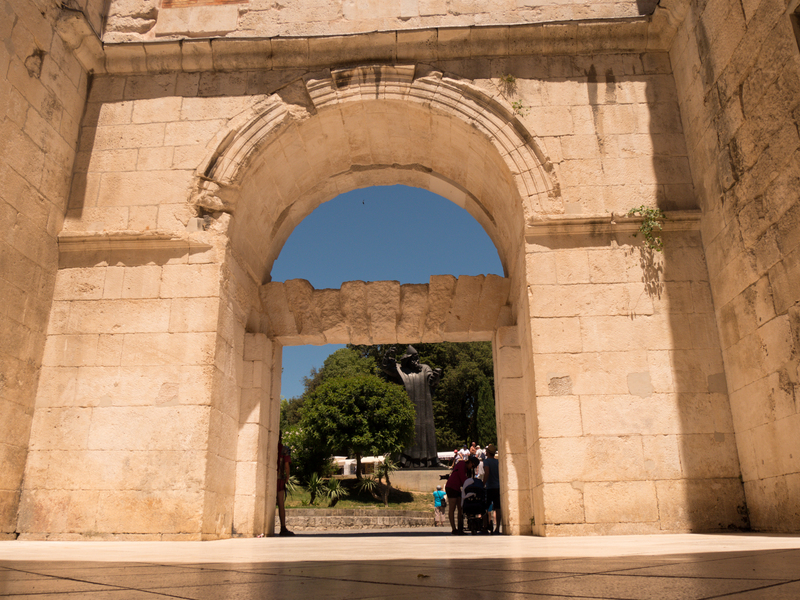 Not only did it give me all the information I lacked from my previous visit to Split, but our fantastic guide also took me to places I didn’t see and gave us plenty of other ideas for things to do in Split. Also since this was Leo’s first visit to Split, it gave him a great first impression and I am pretty sure it became a new favorite city for him too! Happytovisit.com have a wide selection of city tours available and we are incredibly glad we chose the extended tour version. This is one of my favorite things to do in Split, especially when the weather is super hot. There are plenty of bars and restaurants to choose from on the Riva that serve delicious cocktails and yummy ice creams. You can find yourself sitting here for hours, watching as the boats come in and out of the harbor and watching people walk past. In the evening, it’s the ideal spot to enjoy the sunset and at night it is definitely where all the action takes place! 7. 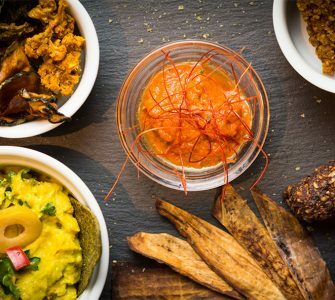 Eat fish, fish, fish and more fish! Yup, that’s right! Take advantage of Split’s prime location on the Adriatic Sea and stuff your face with as much fish as you can consume during your visit! 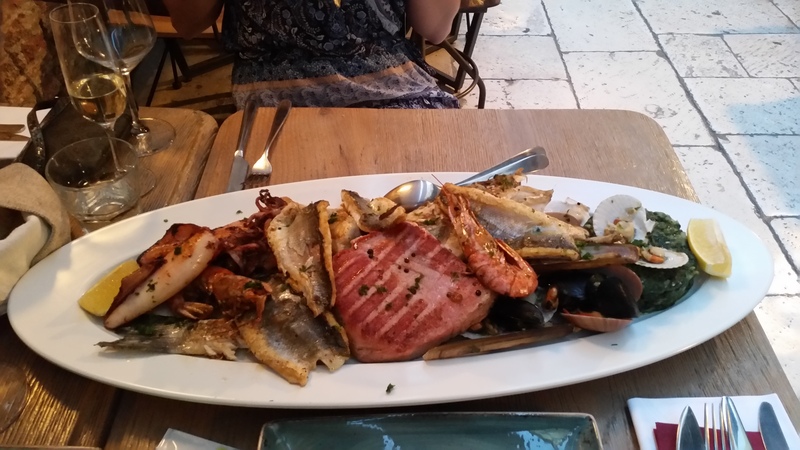 We ate at the Roman Terrace Restaurant one night and order the fish platter for two! The seafood and fish were deliciously fresh and there was so much we couldn’t eat it all! Hey Steph! If you went to Split and walked around the historic Old Town then you visited the palace. It is all part of it. 🙂 I’ve been to Split twice and my favorite thing is probably sitting on the promenade at sunset with a cocktail. I hope you get to visit Split again, it’s a true gem of a city! Split is indeed such a beautiful city that is worthy to be visited. I love the beach and I love eating seafoods as well. And being a GOT fan I would also love to visit Daenery’s throne room. I hope to visit this lovely city soon.